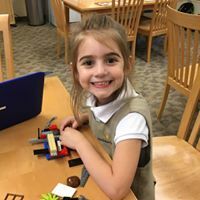 We strive to engage the whole child before, during, and after school hours with a carefully designed schedule that gives students plenty of time to create, play, move and learn. Experienced staff members supervise all programs and diligently oversee the safety and well being of each child. After hour activities at Julie Billiart School Lyndhurst give students the opportunity to experience an extra dose of hands-on indoor/outdoor interaction and the chance to further develop social and academic learning. A variety of programs and aftercare options are available at our Lyndhurst campus. An after school activity that provides materials and instruction for students who are seeking a creative outlet. An activities-based educational program for our 7th and 8th grade boys. 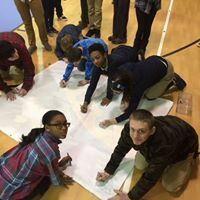 The year-long program introduces a variety of essential skills that every young man should know in order to successfully create and build new relationships, remain healthy, transition into high school, and become an integral part of our society. When children are actively engaged in hands-on, interactive learning activities, their creativity flourishes and they show a greater interest in school. Snapology helps children develop a thirst for knowledge through creative play using LEGO® bricks, K’Nex and technology. The Knight School has developed a fun, kid-friendly approach to the game of chess. As students learn, practice and play the game of chess they gain academic confidence, analytical ability, personal integrity, and a positive self-identity. The American Independent Music Association gives students the opportunity to study and experience music by developing their talents on a number of musical intruments.